Ever since Robin was a little girl she has always had a love for music. “I was always that energetic child who would sing along with every song on the radio, even if I didn’t know it. My parents would always try to get me quiet, but that’s one thing that I’ve never been.” When Robin was 13 years old, she began entertaining audiences. She first started singing in her church choir performing solos on Sundays and at local community sings. She continued her singing by performing in the chorus during middle school and high school. During her senior year of high school she had not one, but three music classes. She was so involved with the Fine Arts program, playing various roles in school musicals, and being selected by her chorus teacher and Moses Hogan to sing solos in All County Chorus, that she received the Music Achievement trophy. When asked what she was going to do after graduation, she responded with, “I’m going to school for Music Education. There are many things that I’m good at, but that doesn’t mean that I want to do them for the rest of my life. Music is what I love, and that’s what I’m going to do.” She earned a music scholarship to Augusta State University where she performed in the ASU Choir and Chamber Singers. She became a member of Mu Phi Epsilon Professional Music Fraternity as well. 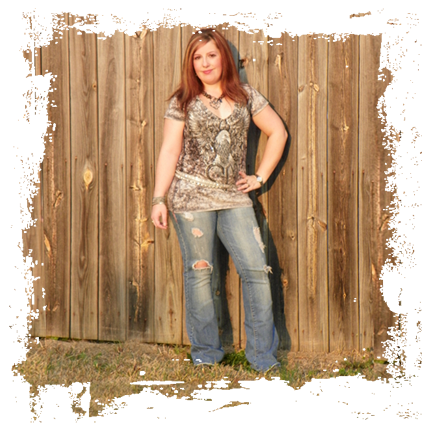 She received her Bachelor of Music Education degree from Augusta State University in 2007. After college, there were no music teacher positions open at the time. Robin returned to her old high school job at a local party supply store. There she worked as a receiver, unloading trucks, breaking down pallets of freight, and taking inventory of the merchandise. “I’ve never been afraid of getting dirty and working with the boys;” she says. In 2008, she finally got a teaching position, but she had to teach Kindergarten instead of Music. At the end of that school year, Robin put in a department transfer and in the Fall of 2009 she began teaching elementary school music in the public school system. That same year, Robin got a call from Wilson Braswell, a musician from the Atlanta area, who was performing in the local house band, 20 East, at Coyotes Night Club in Augusta, Georgia. He asked her if she would be interested in joining the band as the female vocalist, and of course her response was, “yes.” This was the first time that Robin had ever played with a band, but she loved it. All of the members were from the Atlanta area except for Robin and one other. They had success playing locally as the house band at Coyotes Night Club in Augusta, Georgia. In mid-2010, 20 East decided to go their separate ways, but Robin never gave up. She continued to work with other local musicians around town, forming the Midnight Moon Band in August 2010. The band performed as the house band at Coyotes Night Club until they decided to go their separate ways for other opportunities in the music industry in November 2011. Robin soon realized that keeping a band together was harder than she had expected. She decided to take this time to focus on her song writing. In November 2011, Robin began song writing with Al Beasley. Today, she continues to write songs with Big Al and is currently performing with a great new band, Robin Dixon and the Midnight Moon Band.